Used by some of our finest hotels and resorts this silky feeling pillow is the best down alternative you can buy. PrimaLoft is a specially engineered luxury down alternative fiber that mimics the properties of down bedding offering you a great night's sleep. The PrimaLoft pillow is offered with or without a 1.5 inch gusset (The gusset model is larger and offers more support). 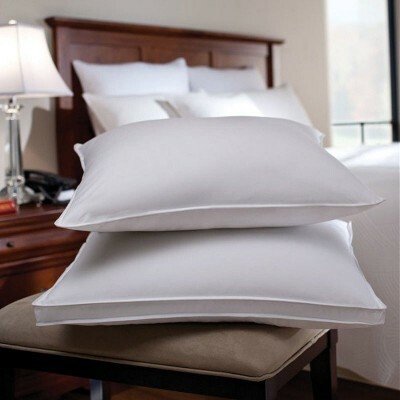 Standard PrimaLoft Pillow - 20 x 26 (Medium 20 oz., Medium With Gusset 25 Oz. King PrimaLoft Pillow - 20 x 36 (Medium 30 oz., Medium With Gusset 38 Oz.